SANTA ROSA, Calif. California sheriff's officials and family members say deputies shot and killed a 13-year-old boy who was carrying a replica assault weapon. Two Sonoma County deputies saw the boy walking with the replica weapon at about 3 p.m. local time Tuesday in Santa Rosa. Lt. Dennis O'Leary says they repeatedly ordered him to drop what appeared to be a rifle before firing several rounds. The boy fell to the ground. Deputies handcuffed him and began administering first aid, but he was pronounced dead at the scene. 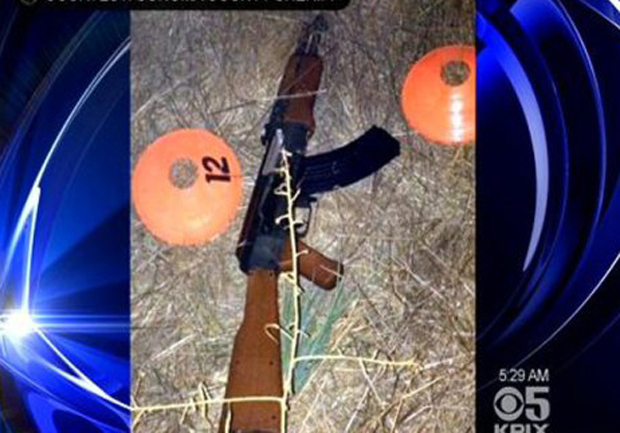 Deputies then discovered that the gun the man had been carrying was a replica, and he also had a plastic gun in his waistband, CBS San Francisco reports. O'Leary said the teen is believed to live in the area where he was killed. The deputies involved have been placed on administrative leave while an investigation is conducted by police from Santa Rosa and Petaluma and the district attorney's office, CBS San Francisco reports. The boy's father, Rodrigo Lopez, told the Press Democrat of Santa Rosa the victim was his 13-year-old son, Andy. The deputies have not been identified.